Creation for the Ballet Junior de Genève inspired by the choreographic methods used in Accords. This original work – choreographed for the Ballet Junior – is inspired by the choreographic methods used in Accords (2008). Rhapsody on a Theme of Accords plays with variations on the theme of unison. Dancing in unison is commonly used in set choreography, but here the process of dancing together proves to be radically different: the dancers are generating the unison instantly using improvisational scores. It’s a “democratic” process based on individual freedom and attention to the other. 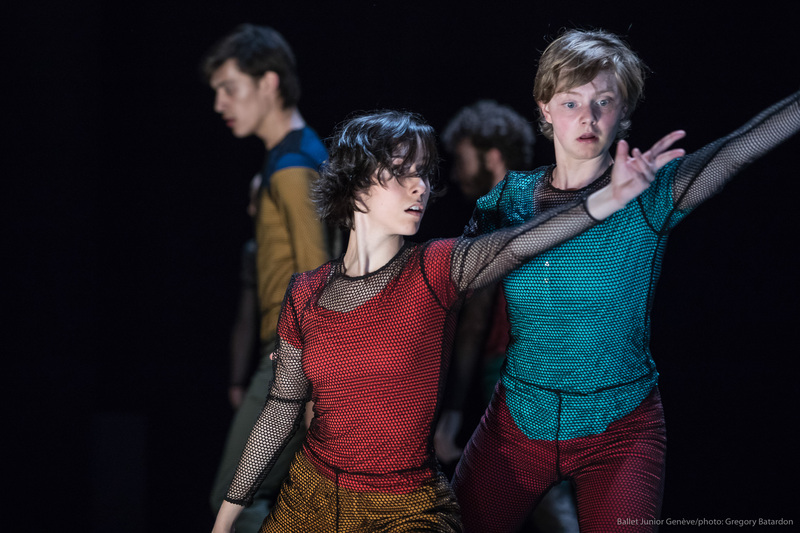 For the dancers, this is a challenging way of performing: they are responsible for the invention and implementation of their own movements on stage, but also for the creation and development of group structures. They must adapt their individual role within a dynamic constellation whose mechanisms are constantly changing. The cognitive abilities of such a system far exceed the mere sum of the individual abilities of the dancers. To a large extent, it relies on intuition – a neurophysiological faculty developed through experience. It is a practice in leading and following, sharing and giving space to each other in a somewhat utopian microcosm on stage, like a model for society at large. In the space of one show, there is indeterminacy, retrospective justification, the tinker’s (bricoleur) improvisation, limited vision, opportunities discovered too late, temptation to follow familiar paths and an open future.